Omar Khan’s book on postcards from the Raj shows how the British used postcards for propaganda. 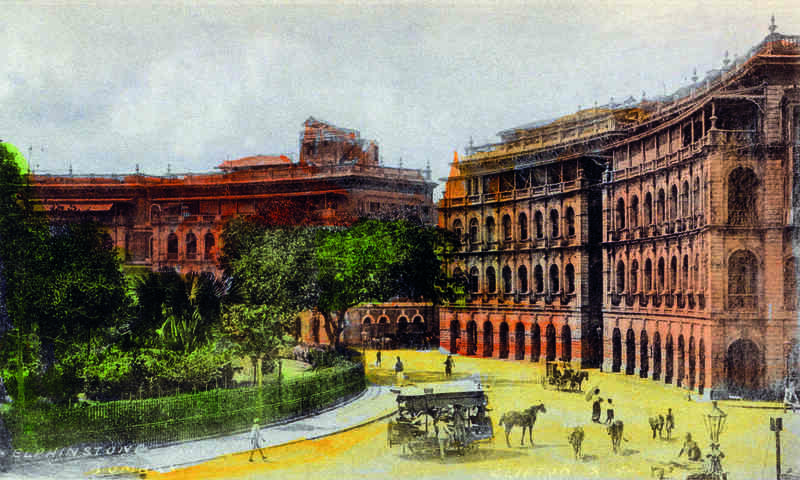 In his coffee-table book, ‘Paper Jewels: Postcards from the Raj’, historian and collector Omar Khan documents how postcards became a window to world history. Segregation Camp, Bombay, by Clifton & Co., c. 1903. Collotype, Undivided back, 13 x 8.7 cm, 5.12 x 3.43 in. 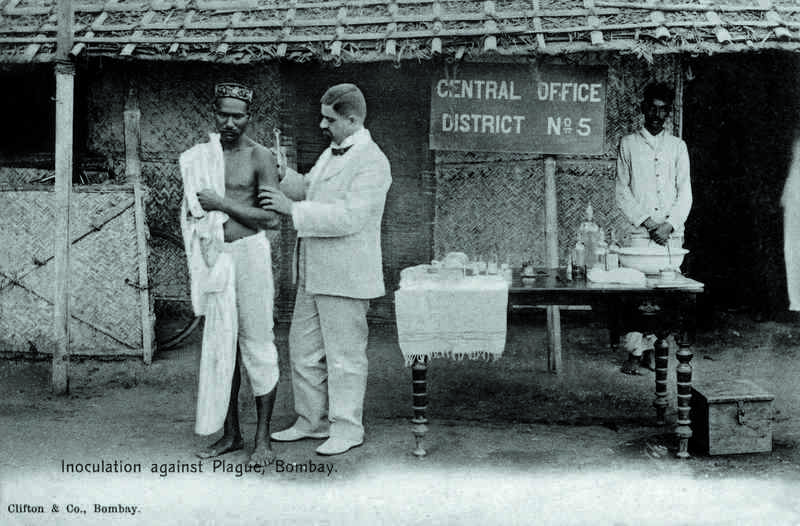 In 1903, seven years into a prolonged epidemic of bubonic plague in Bombay, Harry Soundy went around the city to photograph patients. To curb the spread of the disease, the British government was holding inoculation drives and attempted to quarantine patients in isolation camps. None of this was very effective. Already, more than 100,000 people had died and thousands had fled the city. But Soundy aimed to show otherwise. He was the owner of Clifton and Co., a prominent publisher of postcards and his images attempted to convince the world that the situation was well in hand. 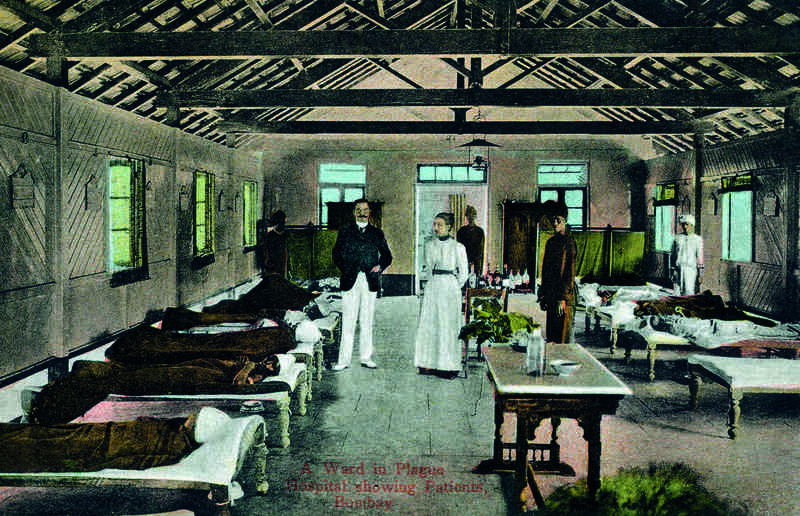 They depicted neat, airy hospital wards and Bombay residents being vaccinated by European doctors. 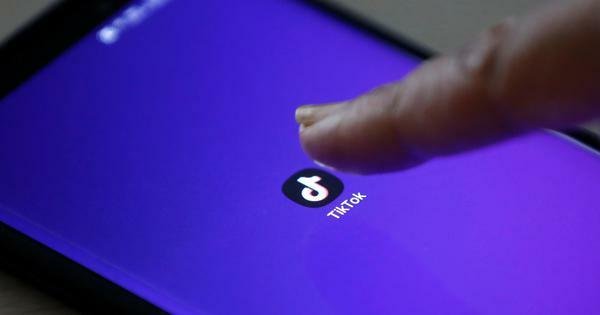 The reality, it turns out, was a little different. The plague continued to claim victims for over a decade after that. 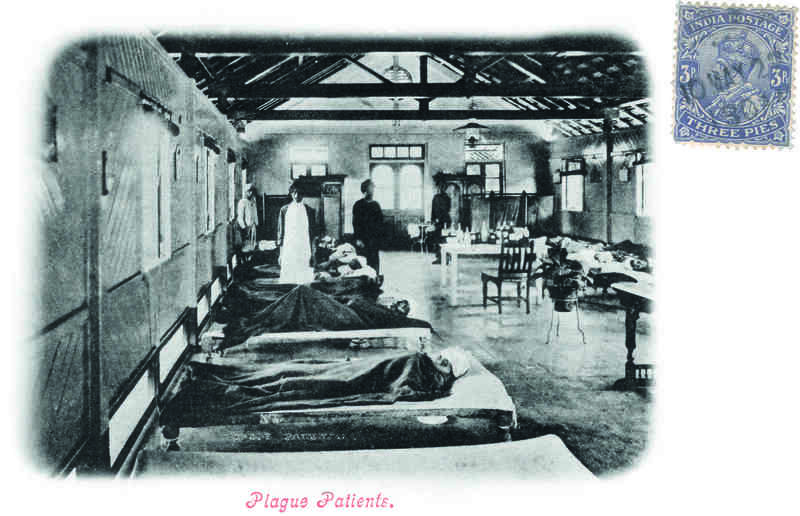 'A Ward in Plague Hospital', Bombay, showing Patients, by Clifton & Co., c. 1903. Coloured collotype, Divided back, 13.85 x 8.8 cm, 5.45 x 3.46 in. The postcards give no indication of what the Indians felt about the treatment regimen devised by the British. As the historian Prashant Kidambi notes in his book The Making of an Indian Metropolis: Colonial Governance and Public Culture in Bombay, 1890-1920, officials would forcibly enter homes to inspect them and anyone with symptoms was quarantined. Several homes that were deemed unsanitary were demolished. It was, Kidambi writes, “a military-style operation” and caused significant discontent. Plague Patients, Bombay, by Clifton & Co., c. 1903. Collotype, Divided back, 13.9 x 9 cm, 5.47 x 3.54 in. In one of the postcards, which does not bear postmark or an address, the sender wrote: “This is how these devils are taken care of when they have plague and as soon as they are well, they abuse the doctors and say they tried to kill them. The pity is, that they don’t let them die.” This particular message was written at the back of a postcard showing a clean dormitory-like setup with patients occupying every single bed. 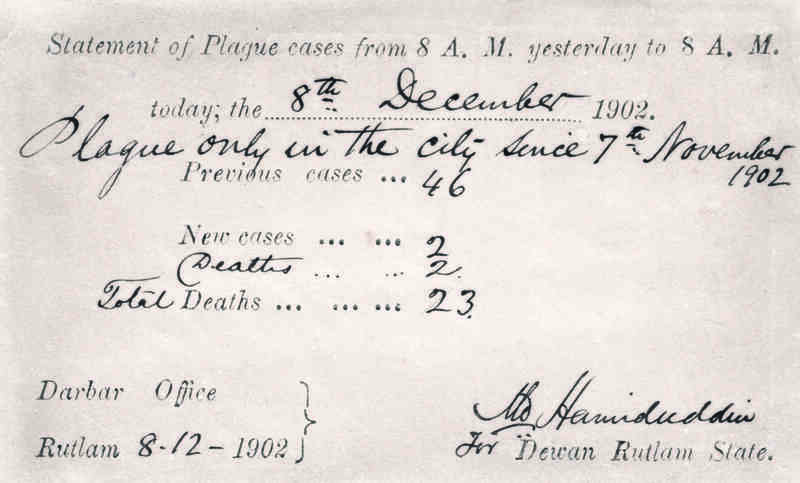 'Statement of plague cases from yesterday to 8 AM today, The 8th December 1902', by Halftone Postcard, Undivided back, 14 x 8.85 cm, 5.51 x 3.48 in. 'Inoculation Against Plague', by Clifton & Co., c. 1903. Collotype, Undivided back, 13.6 x 9.1 cm, 5.35 x 3.58 in. Paper Jewels, organised geographically, contains picture postcards from Bombay, Calcutta, Madras, Jaipur, Sri Lanka and even the North West Frontier Province of Khyber Pakhtunkhwa. 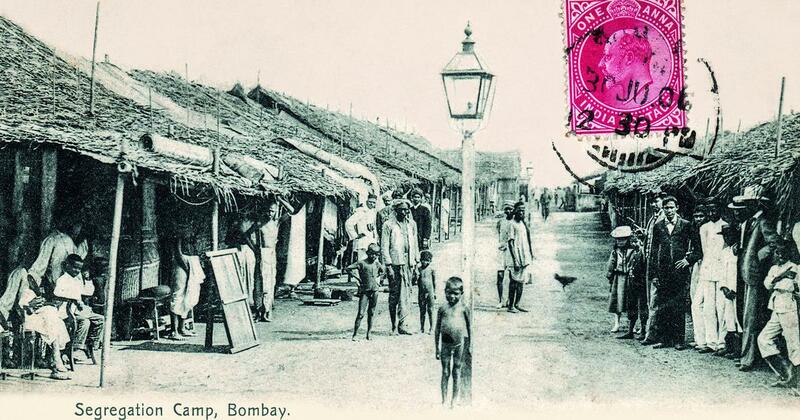 The early postcards mostly exoticised India, focussing on its temples, yogis and costumes, all foreign to the English. Amidst these, the ones from Clifton and Co. stand out for their depiction of a turbulent time in India. Elphinstone Circle, Bombay, by Clifton & Co., c. 1903. Handcoloured collotype, Undivided back, 12.1 x 8.8 cm, 4.76 x 3.46 in. Postcards, Khan says, are a fascinating amalgamation of commerce and art with artists and photographers capturing a time in India like no other source. “Sure, the Bombay plague postcards were propaganda in a certain way, but more importantly, they were a reflection of history and the events at the time and are valuable for that reason,” he said. 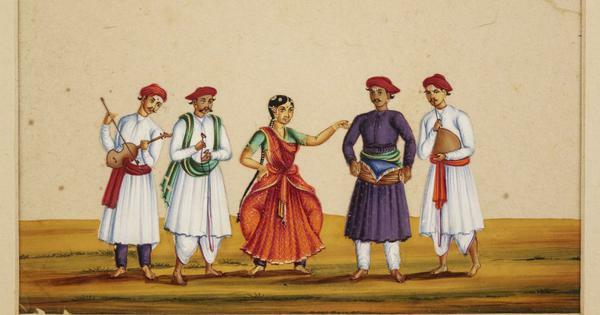 Images from Paper Jewels: Postcards from the Raj will be on display at Dr Bhau Daji Lad Mumbai City Museum until October 1.